WOODWARD — Let’s try to get this straight: The Hawks were out-Hawked by the Hawks? Yep, that’s pretty much it. 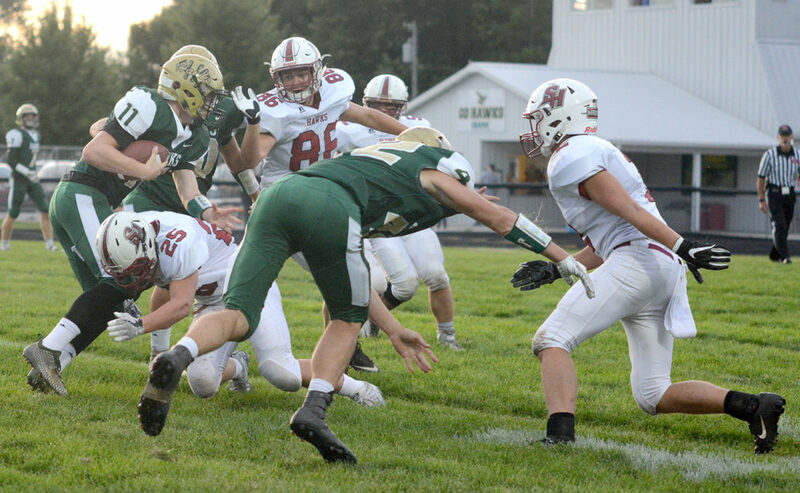 Eyes were opened and flaws were exposed here Friday night, as South Hamilton struggled to gain any offensive traction in a defensive slugfest against Woodward-Granger. 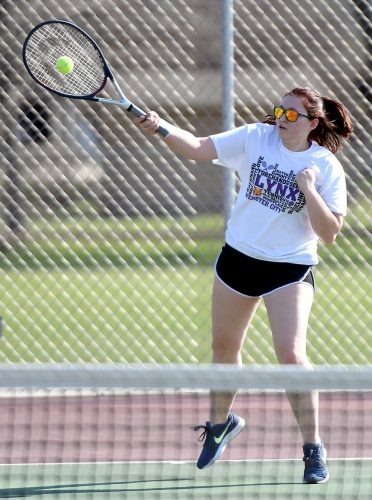 After solid offensive performances in wins over South Hardin and Grundy Center, the Hawks were out-played at the line of scrimmage and beaten up physically in an 11-8 loss, their first of the season. 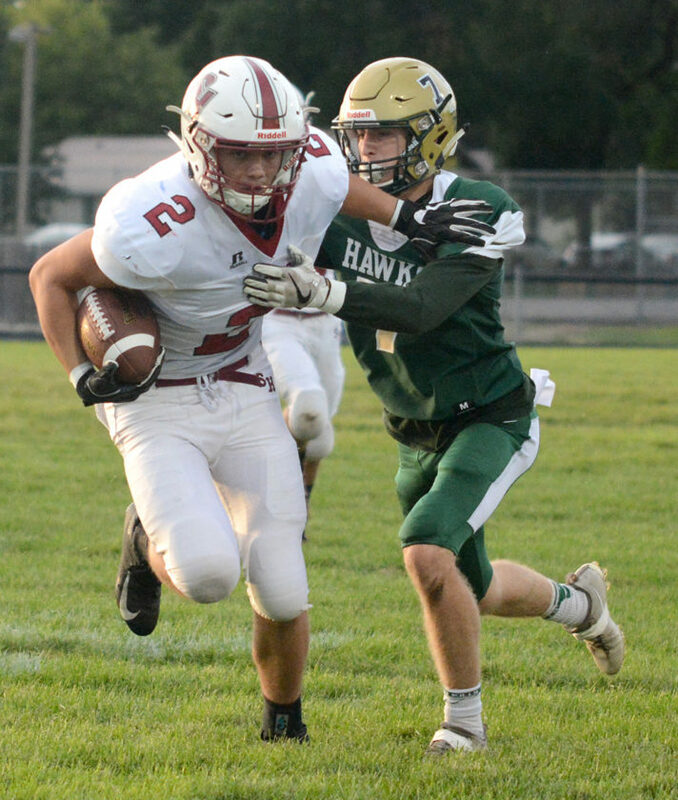 South Hamilton head coach Corey Klemp heaped plenty of praise on W-G after it limited his team to just 83 yards of offense, but he also says tweaks need to be made prior to the start of the Class 1A District 2 slate in two weeks. It really was like looking in a mirror. 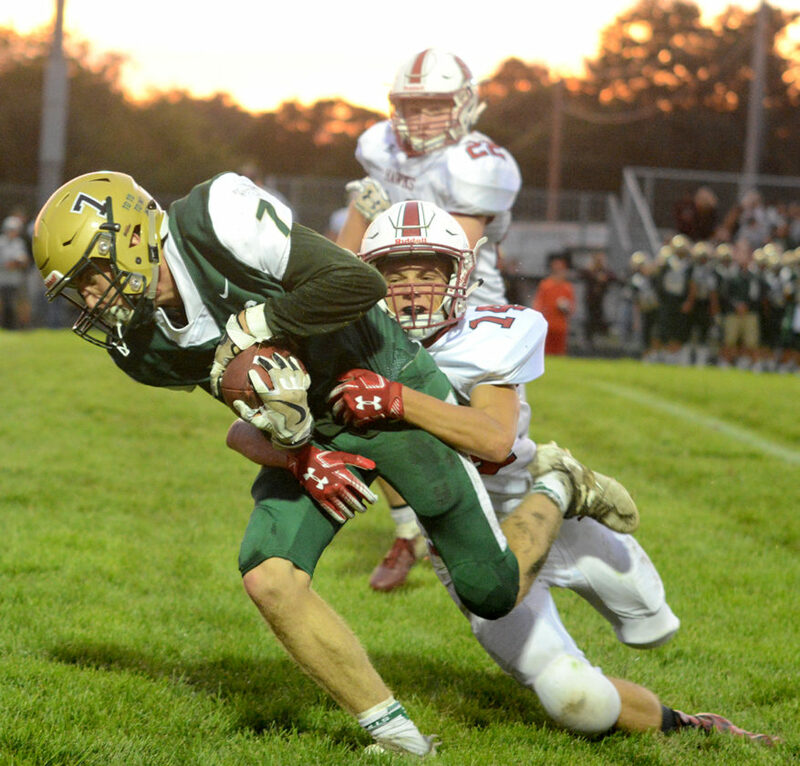 Like W-G, South Hamilton relies on a punishing defense that is as stingy as a toddler with his Halloween candy. South Hamilton (2-1) averaged just 2.5 yards per carry and 2.4 yards per play. Its only touchdown came on a defensive strip sack and fumble recovery by Jeremiah Smith in the end zone early in the second quarter. But W-G (3-0) also controlled the clock and limited the Hawks’ chances. 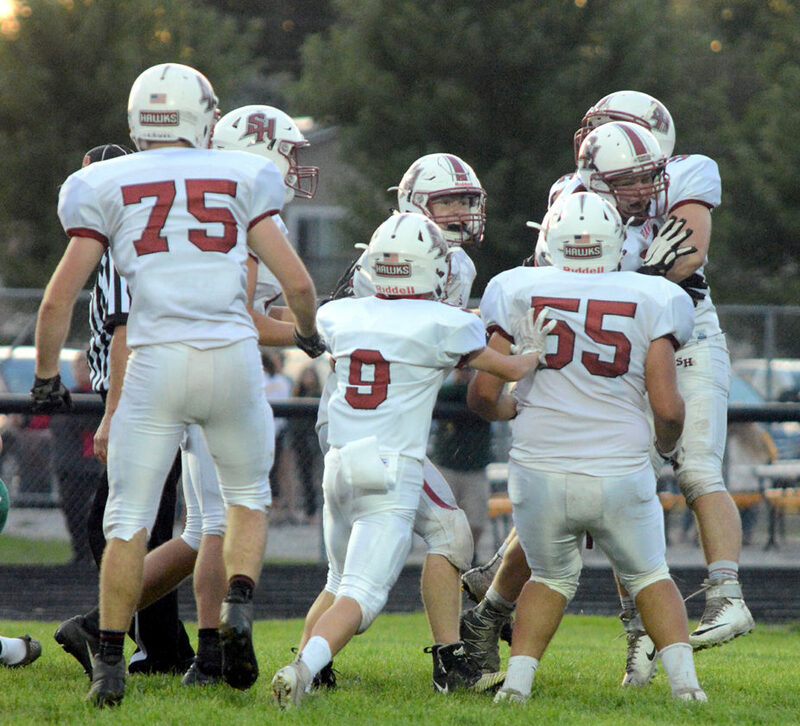 South Hamilton ran just 34 plays from scrimmage, 30 fewer than in its Week 2 26-14 victory over Grundy Center. Defense really was South Hamilton’s best offense. Smith’s sack was one of seven tackles for loss in the contest. 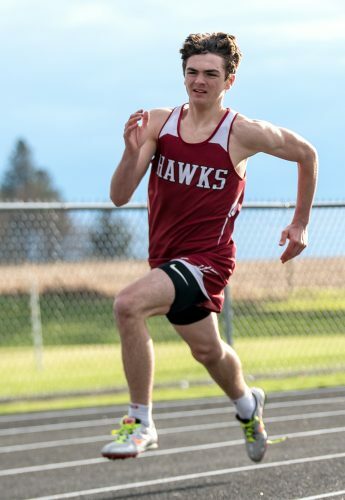 The Hawks also forced five turnovers — interceptions by Sam Lewis and Cole Berg, as well as two more fumble recoveries by DJ Klonglan and Dominic Summers. Summers, just a sophomore, and classmate Trevor Thompson had monster performances defensively with 10 and eight tackles, respectively, and a combined five stops in the backfield. Thompson put W-G quarterback Keith Braunschweig on his rear near the goal line to set up the touchdown by Smith that gave South Hamilton the only points of the first half. Trailing 8-0 entering the third quarter, W-G was finally able to push its way into the end zone on a 3-yard plunge by fullback Gabe Yingst in the final minute. Yingst also ran in the two-point conversion to even the score at 8. W-G forced another punt on South Hamilton’s ensuing possession and was then able to drive down to within field goal range for Matt Hansen. He drilled a 31-yard boot with 7:21 remaining for the go-ahead points. South Hamilton had one final drive in the waning moments, but it stalled near midfield. Braunschweig threw for 159 yards and tailback Tate Lettow ran for 105 additional yards for W-G. But Klemp say he couldn’t have asked for much more out of his defense. W-G entered the contest averaging better than 50 points per game. Lewis led the Hawks’ offense with 29 rushing yards on 14 carries. Klonglan picked up 25 on eight totes, and Berg completed 3 of 5 passes for 10 yards. Lewis, Cade Balvanz and Brock Galetich all had one reception. 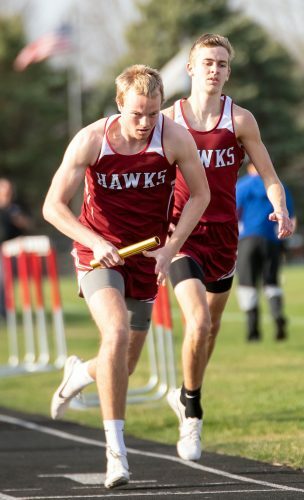 Although a loss wasn’t what South Hamilton had in mind, Klemp sees it as a learning opportunity as the Hawks prepare to face Manson-Northwest Webster (0-3) this week. SH — Jeremiah Smith fumble recovery (Sam Lewis run), 9:13. W-G — Gabe Yingst 3 run (Yingst run), 0:56. W-G — Matt Hansen 31 FG, 7:21. 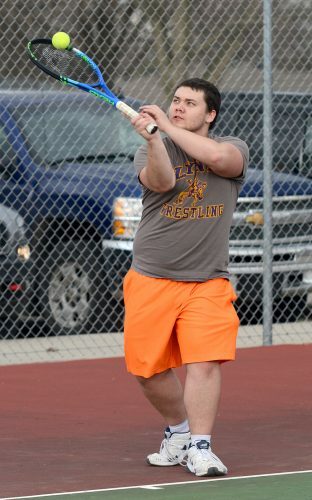 Rushing — SH: Sam Lewis 14-29, DJ Klonglan 8-25, Trevor Thompson 4-12, Cole Berg 2-4, Cade Flaugh 1-3. Passing — SH: Berg 3-5-0 10. Receiving — SH: Brock Galetich 1-6, Cade Balvanz 1-2, Lewis 1-2. Tackles — SH: Dominic Summers 10, Thompson 8, Galetich 6, Lewis 6, Brandyn Feighner 51⁄2, Klonglan 51⁄2, Jeremiah Smith 5, Balvanz 3, Teagan Risetter 3, Berg 21⁄2, Freddie Lewis 11⁄2, Zeke Balderas 1⁄2, Flaugh 1⁄2, Nathan Wilson 1⁄2.